Or, get it for 43200 Kobo Super Points! 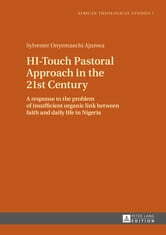 «Human Integrated Touch» (HI-Touch) is a pastoral care approach that could be a response to the lingering problems of Christianity marred by an insufficient organic link between faith and daily life in Nigeria. 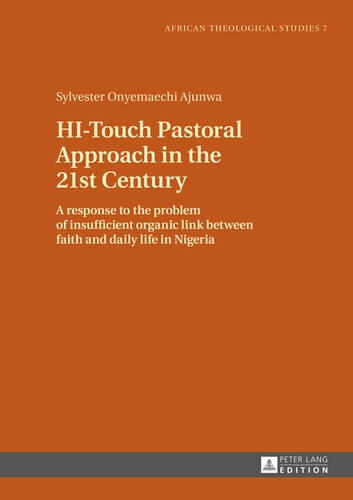 Arguing for an integrated approach to humans and the human condition, the study presents the HI-Touch as a form of pastoral care that is not only based on religious affiliations, but also on human authentic values vis-a vis an authentic Christian faith in a dynamic society. The growth of atheism in modern societies is not only a conceptual denial of the existence of God but an elimination of God from the affairs of man. The right way to overcome this is through a new order of human relations that calls for love, mutual respect, hospitality, empathy, communion, and dialogue with one another in all human situations.